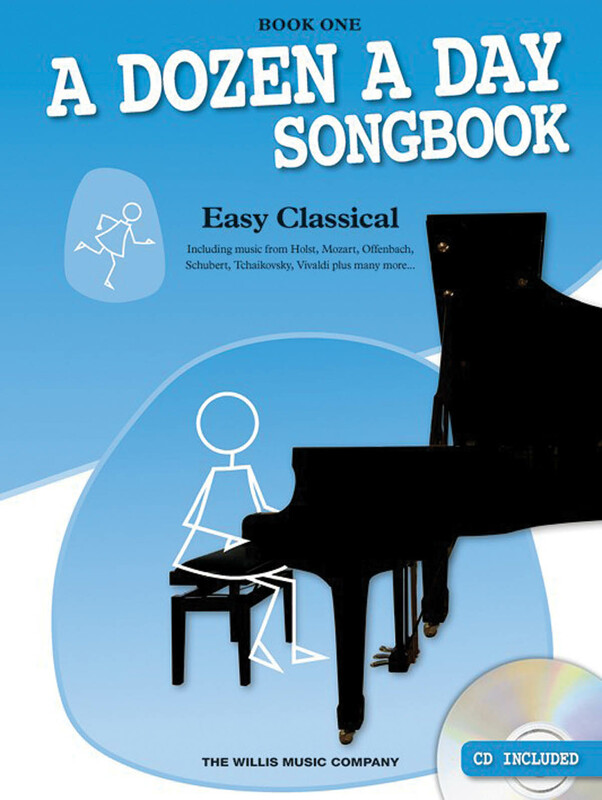 The A Dozen a Day Songbook series contains wonderful easy classical hits that may be used as companion pieces to the memorable technique exercises in Edna Mae Burnam's A Dozen a Day series or as supplements with any piano method. The pieces have been arranged to progress gradually, applying concepts and patterns from Burnam's technical exercises whenever possible. Teacher accompaniments and suggested guidelines for use with the original series are also provided. Book 1 includes: Adagio (Mozart) • Barcarolle (Offenbach) • Jesu, Joy of Man's Desiring (Bach) • Jupiter from The Planets (Holst) • Pavane Pour Une Enfante Defunte (Ravel) • Pie Jesu (Fauré) • Sarabande (Handel) • Symphony No. 5 (Tchaikovsky) • Theme – The Unfinished Symphony (Schubert) • Winter from The Four Seasons (Vivaldi).